Developed by professional bike mechanics, the ZB Clean brush from Zefal is an essential 3-in-1 tool for cleaning your bikes drive train. 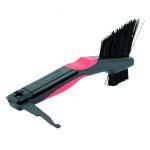 It features two different sized brush heads as well as a hard plastic fold out scraper for getting in between the cogs on your rear cassette, and other hard to reach areas. The larger brush head is ideal for cleaning your chain and cassette/freewheel while the smaller brush head is designed for use on your derailleur and other intricate components. 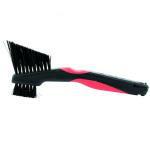 The plastic scraper is compatible with 8, 9, 10, and 11 speed cassettes and folds away into the handle when not in use. 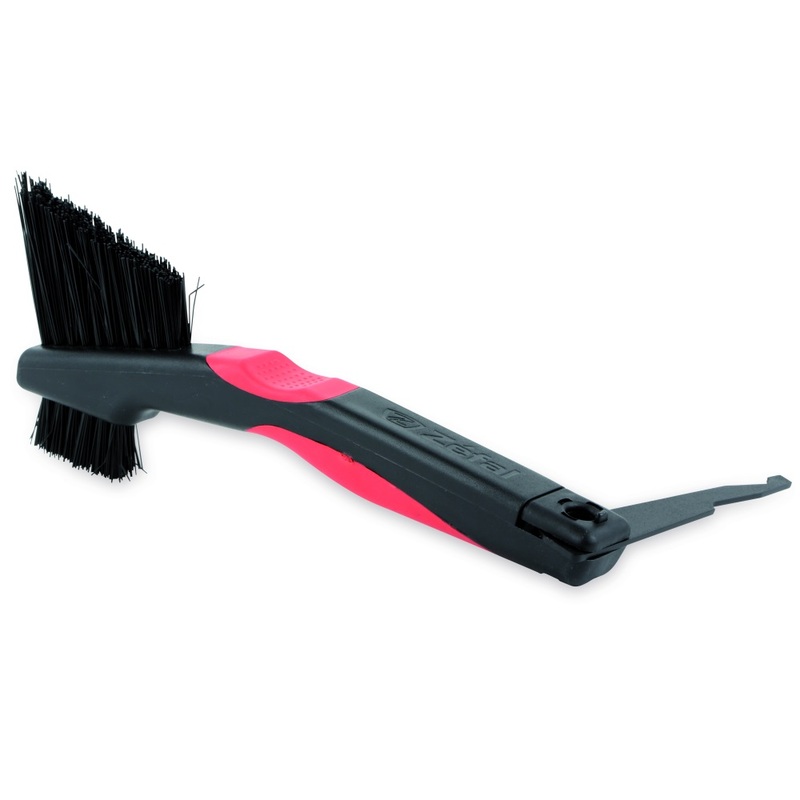 The handle is made from a durable polypropylene with soft overmold grip areas and the brush heads are made from durable nylon.